HSBC is changing the way you logon to HSBC Internet Banking! Beginning 13 November, all HSBC Internet Banking customers will experience a new way of logging onto HSBC Internet Banking. Please follow the instructions below in order to keep accessing HSBC Internet Banking. Enter your User ID and Password as usual, and click "Logon." The "Activate Your Security Device" screen appears. Press the grey button once on your Security Device to generate a security code. Enter the 6-digit security code. 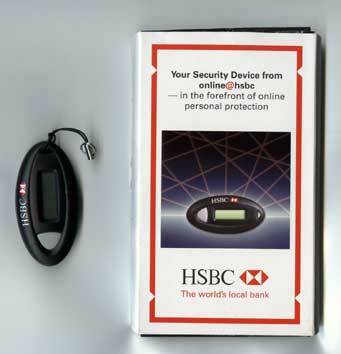 Turn over the Security Device and enter the 10-digit serial number located on the back. Click "Continue" to proceed. Enter the designated digits from your HKID/Passport number and click "Continue." The "Activation Acknowledegment" screen appears, and your Security Device activation is complete. It is simple and easy!